Harewood was the first black actor to play the Moor at the National Theatre in London, which only took place in 1997. In preparing for the role, he wanted to pinpoint and show how an honorable and noble man could slowly change to a beastly, angry, jealous killer. He talks to University of London Professor Jerry Brown about what the Elizabethans would have thought of the Moor, and later, to Adrian Lester about how racial prejudices meant that for centuries a black actor couldn’t even play the role. 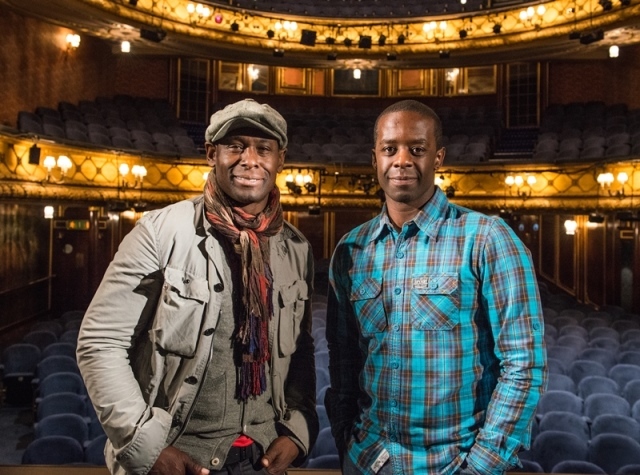 Lester is the most recent actor to take on Othello at the National Theatre in 2013. Following that performance Lester also starred as Ira Aldridge, the first African American actor in the 19th Century ever to play Othello on the London stage, in a play that was about the audience’s reaction to his first appearance. The audience loved him but critics eviscerated the production and after only two performances the theater went dark for the first time in its history. When it reopened Aldridge was not asked back in that, or any other, role. We hear from famous Iagos like Simon Russell Beale who played opposite Harewood at the National Theatre, Patrick Stewart (Shakespeare Theatre Company 1997), and Sir Ian McKellen (RSC 1990) as they consider the relationship between Iago and Othello. And we hear discussion about controversial performances by Sir Laurence Olivier and to a lesser degree, Sir Anthony Hopkins. Harewood says that every actor who plays Othello has to think himself into this man’s mind. He asks Sir Nicholas Hytner (who directed Adrian Lester at the National Theatre) how he keeps the tension up and what he feels is the most important thing that makes Othello believable. Actors from the Globe rehearse several scenes, including Act III scene 3 between Othello and Iago where the flip happens and Othello commits to murdering Desdemona, and Act IV scene 3 between Desdemona and Emilia. Experts like Forensics Psychiatrist Dr. Gwen Adshead, Harvard University Professor Stephen Greenblatt, and Gail Kern Paster from the Folger Shakespeare Library also provide thought-provoking comments on the nature of evil and Iago’s hatred of Othello. As Harewood seeks to make sense of Othello’s actions we are left to ask ourselves what it all means. Is there something in all of us that makes such actions possible? In the end Othello couldn’t cope with the inevitable uncertainty of human relationships and that is the weakness that Iago utterly exploited.